2017 NZ Brewers Cup Champion! Our second Championship event for 2017 was the NZ Brewers Cup competition. This was held on Saturday in Jack’s Coffee & John Burton Ltd, Auckland. The atmosphere was relaxed and friendly and our emcees Nick Clark, Nico Refeti and Sam Low kept the audience entertained between competitors and after they competed asked the competitors questions about their performances and preparations for the competitions. There were 7 entrants in this years brewers cup competition who all competed in both the open and compulsory round. In the compulsory round competitors have to use the same coffee, grinder and same water to brew 3 coffees that are then served to a blind panel of judges, which gives the barista a chance to really display their brewing skills by removing the performance and any preconceptions which allows the judges to focus on just the coffee. After the Compulsory round the baristas have to compete in the open service section were they have 10 minutes to brew 3 coffees to the panel of judges and give a performance and display their knowledge and passion for their chosen brewers and coffee. 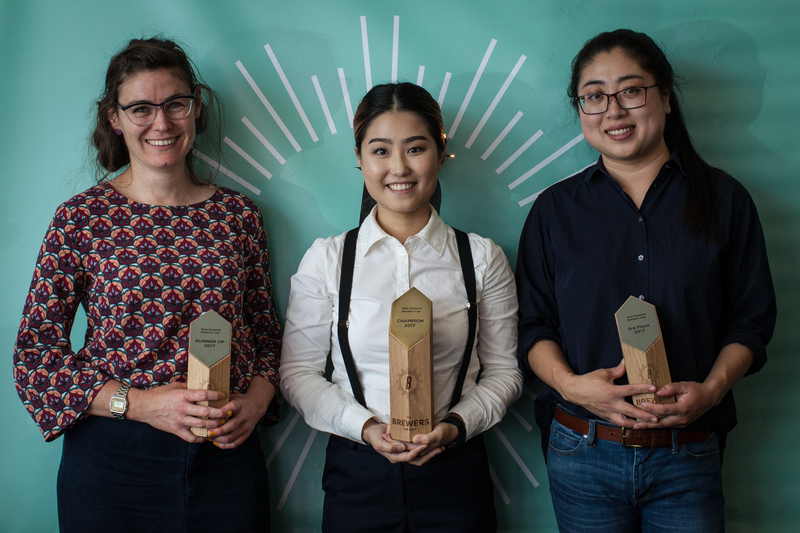 The top three were the baristas who scored the highest by combining the scores of the compulsory and open service rounds, this year we had an all female top 3, Dianne Wang of Toolbox plus came third, Sarah Stephens from Mojo Coffee placed second and the winner of the 2017 NZ Brewers Cup Champion was Nara Lee from Black and Gold Coffee Eatery in Albany. Nara Lee competed last year and came back and wowed the room again with her innovative brewer, amazing hair accessories and her obvious passion and enthusiasm for coffee! Nara used a washed Pacamara from Hacienda Don Julian Panama, which she describes as tasting like biting into a lemon, white wine, with a medium body, juicy whens its hot and silky when it cools, this was brewed through a unique piece of equipment that has glass V60 drippers in it which is covered by heating cables that are all controlled by a PID. 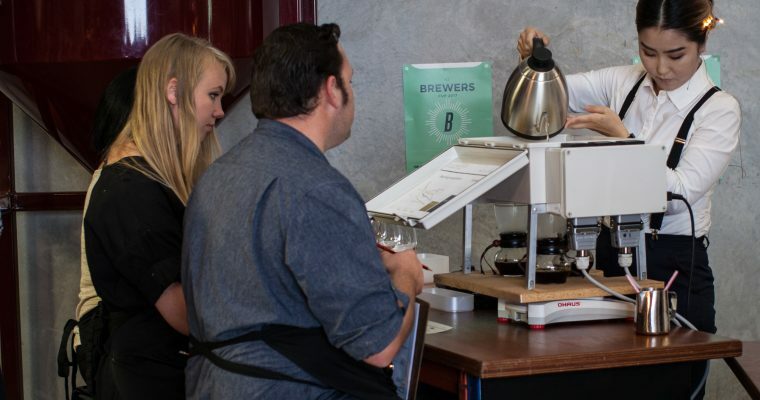 We wish Nara Lee all when she represents New Zealand in Budapest at the World Brewers Cup Championships in June.